For one reason or another, the vintage BMW scene has become very lively in the last few years. If slim fitting flannel shirts buttoned all the way up, thick rimmed glasses without prescription lenses, and a French Bulldog named Beauregard who does not go by “Bo” for short are of interest to you, then a vintage BMW is the perfect accessory for your trendy lifestyle. 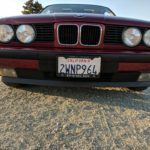 If you’re simply an enthusiast who has enjoyed driving and tinkering with the brand, then you probably feel the pain as increased popularity has, naturally, increased the prices on Bavaria’s greatest hits. Does that mean you can no longer have a fun budget Bimmer? 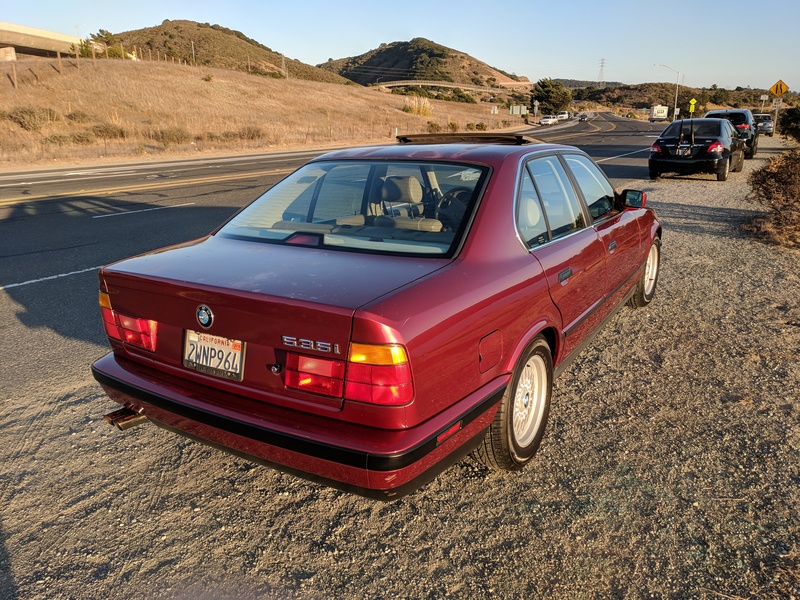 Not unlike the cars that preceded it, the e34 535i is quintessentially old BMW. 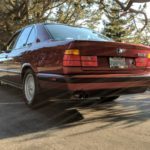 Forget about e30s, old 6-series cars, or any models with a name prefaced by the letter ///M, as all those cars suffer from the “classic” car tax. There are still a few cars though, which are just as fun to drive and can be had for cents on the dollar. As most of these stories begin, Taylor was once again on Craigslist looking for something he could make a project out of. 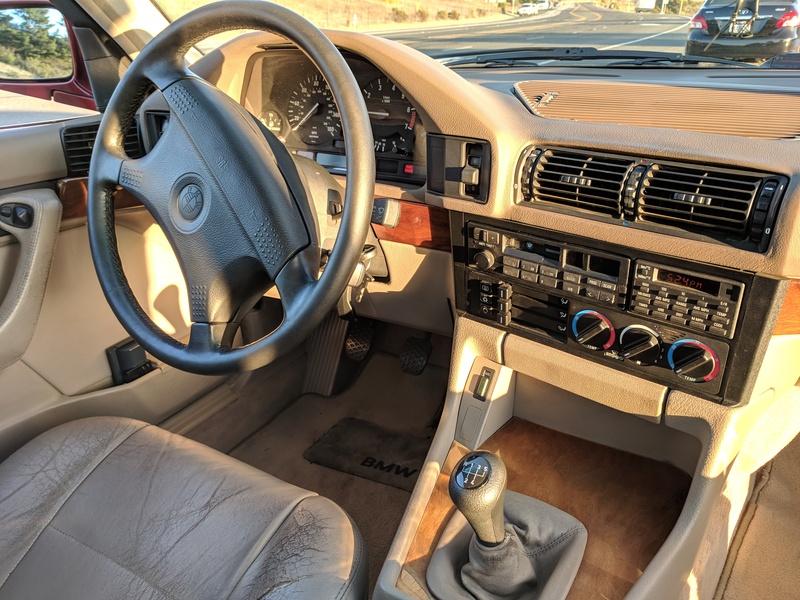 In short order, an ad for a tired looking 1991 535i 5-speed popped up. 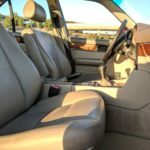 The seller said the car suffered from an erratic idle problem. T-Griff saw the car, cash changed hands, and it was on its way home with him. Why take a gamble on a questionably running car with oxidized paint? The 535i is powered by the famed M30 engine. 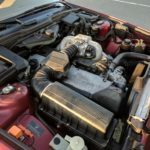 It’s an engine that BMW produced from the late 1960s through the early 1990s, ultimately being replaced by the M60 V8 engines. The “Big Six” engines are nearly indestructible and often go well past 300,000 miles. 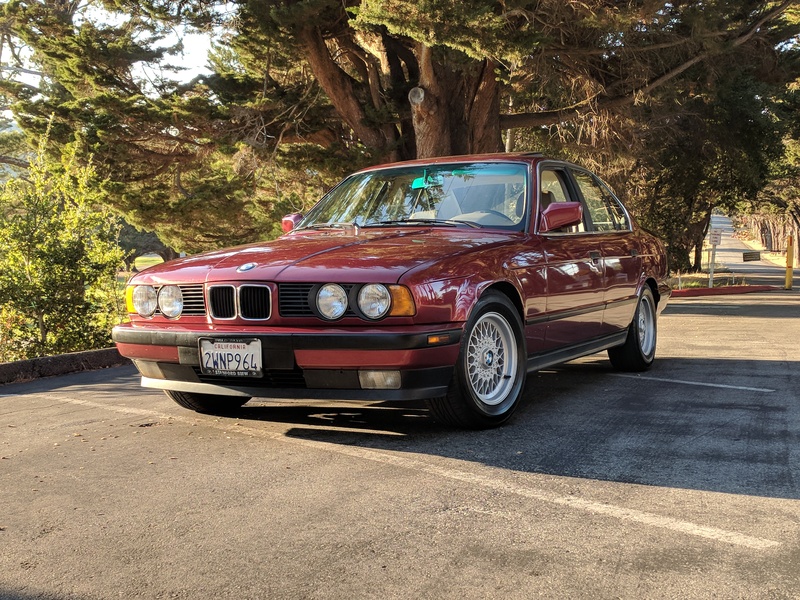 That being said, the 204k mile example found in this 1991 535i is one of the last of the breed, so it has the updated Bosch Motronic 1.3 fuel management. 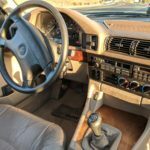 Being a 1991 model, BMW also decided to use the outgoing M30 as a guinea pig for their drive-by-wire electronic throttle. I think you can see where things were headed. Parked at the golf course, just where you’d expect to find this car when new. Metallic paint and BBS wheels were all the rage. The last of the great M30 family of engines. 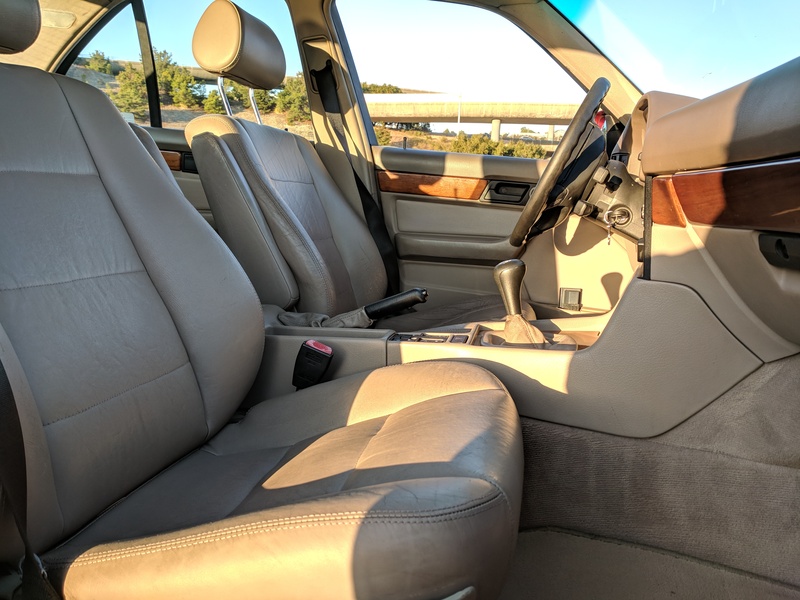 The leather may have aged, but the interior has held up surprisingly well. 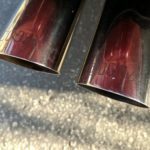 Initially Taylor tried cleaning the original throttle body, and the car started behaving as it should. A few weeks went by and the car was back to giving its occupants rides on a bucking bronco. After some more troubleshooting, a known functioning throttle body was purchased and the wild 535 was finally tamed. With the ability to drive the car as intended, it was immediately apparent that the suspension was completely shot. A set of Bilstein shocks and lowering springs sourced from a friend coupled with a new front suspension rebuild kit, and the sporty handling to the dot-com boom chariot was restored. With some cash still left in his pocket, Taylor was able to toss in a few performance goodies to the mix. A MarkD performance chip unlocks some extra midrange power, and a Z3 shift lever quickens gear changes on the sturdy Getrag 260 trans. While scouring the junkyard, Taylor managed to score a set of Dinan sway bars that keep the 3600 lb. sedan under control without compromising the ride quality. 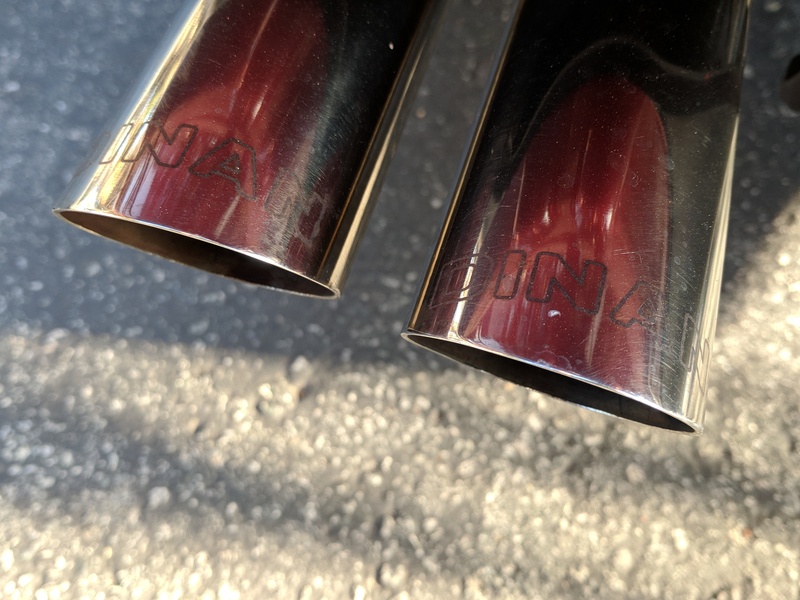 Last but not least, a discontinued Dinan muffler lets the M30 play its tune with a little more authority. Over the years I’ve become very familiar with the e34 chassis and its various engine configurations. 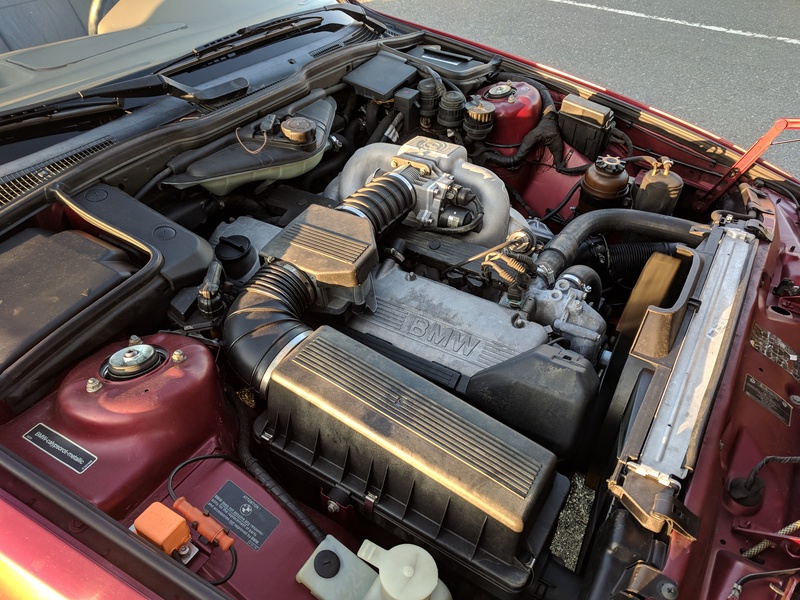 I haven’t driven an e34 M5, but I have driven the e28 M5 and e24 M6, so I know more or less how the s38 engine would behave…and the expense of an engine rebuild. After spending some time behind the wheel of the 535, I think it’s my favorite 5-series of the bunch. Readers of the site may have remembered that Taylor also owns an e34 540i that’s been modified with a supercharger. 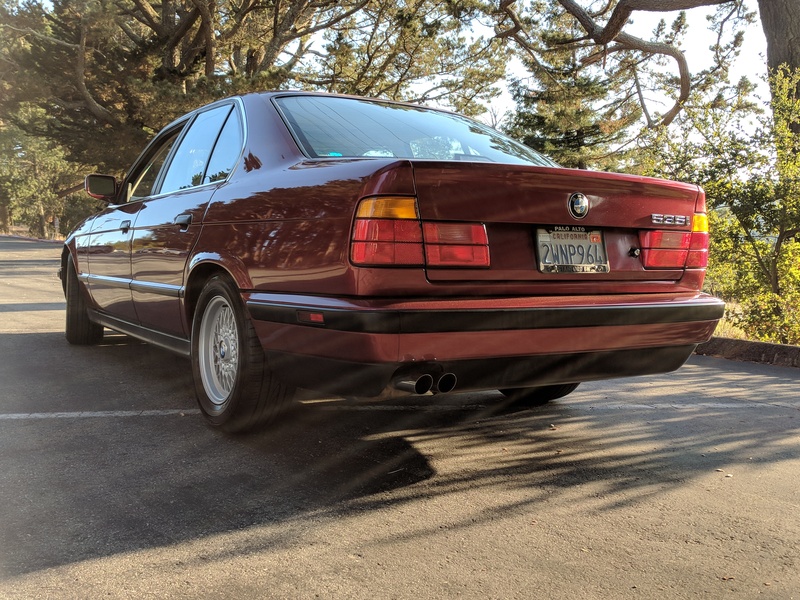 The 540’s suspension is dialed as well, so it’s certainly one of the nicer examples of an e34 5-series. By that logic, the 535 should feel like a hunk of junk by comparison, yet less has proved to be more in this case. I’ll be the first to say that the 535 is not the fastest car. With somewhere around 210 horsepower out of 3.4 liters, revving the engine all the way to redline doesn’t yield much more than increased sound. The torque is what makes the M30 so much fun to drive though. Mash your right foot and just about any gear, and freight train keeps pulling with no signs of stopping. Paired with a reasonably tall 3.46 LSD, the 5er is never deterred from driving long distances at high speeds. 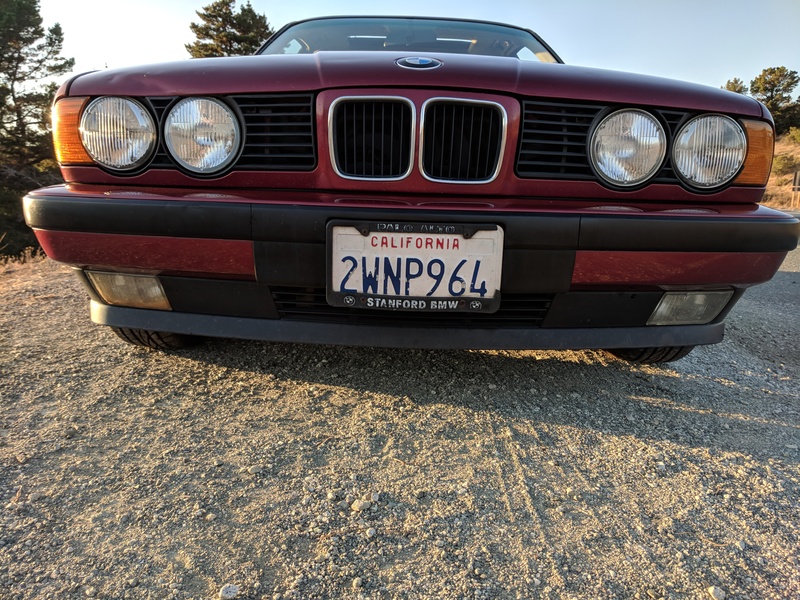 The classic 4 headlight front end. A business environment for the business of driving. The Dinan muffler adds some much needed volume to the good old M30. Despite the oxidized roof and trunk, the Calypso Red paint still sparkles in the sunlight. 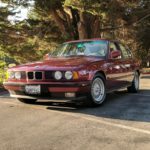 Perhaps what makes the 535i unique among the e34 lineup is its ode to tradition. 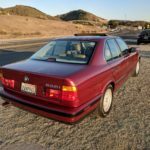 Not unlike the cars that preceded it, the e34 535i is quintessentially old BMW. It’s a capable car, but nothing is done in haste. Whether it be the acceleration, the gear changes, or the handling, every input is deliberate without feeling unrefined. And that’s how the car is to be enjoyed best. There’s no need to drive it aggressively, as you can have just as much fun going for a cruise. As seen with the 535i, an old BMW doesn’t have to be top of the line, nor does it need to break the bank. While Taylor may have a few thousand bucks into fixing up this example, similarly prepared 535’s can be had for well under $4000. It’s still drives, looks, smells, and sounds like a BMW should. Not too shabby for a car that stickered at $45,000 in 1991. Nowadays, BMW and other manufacturers build cars to fit a price point. On paper it seems like a good idea, as there’s a car for everyone’s budget. The reality of the matter is that a modern car has become a disposable commodity. Therein lies the appeal of older cars. They were built in a time when people purchased cars with the intent of keeping them long term. Engines were more easily serviced, and a little more care was put into the fit and finish. If you took care of it, 20 years of service was not out of the question. Just ask this one.